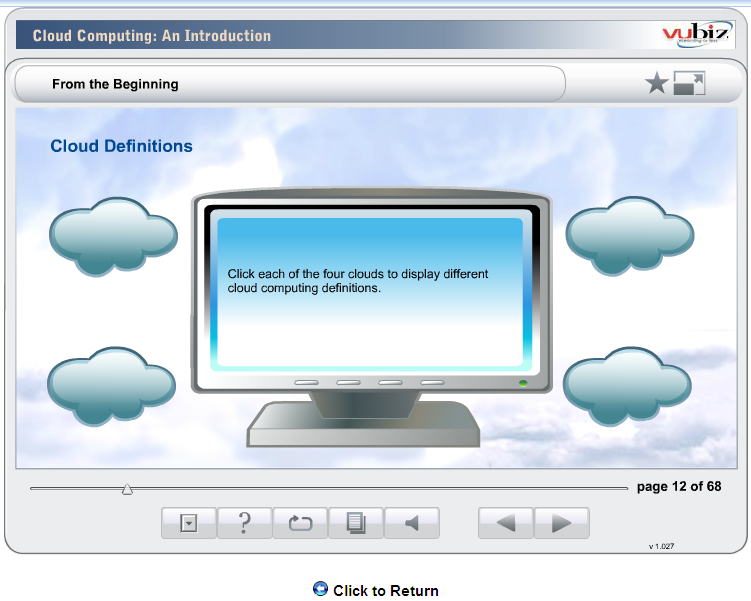 PROGRAMME OUTLINE: The module 'Cloud Computing: An Introduction' introduces learners to the exciting world of cloud computing. 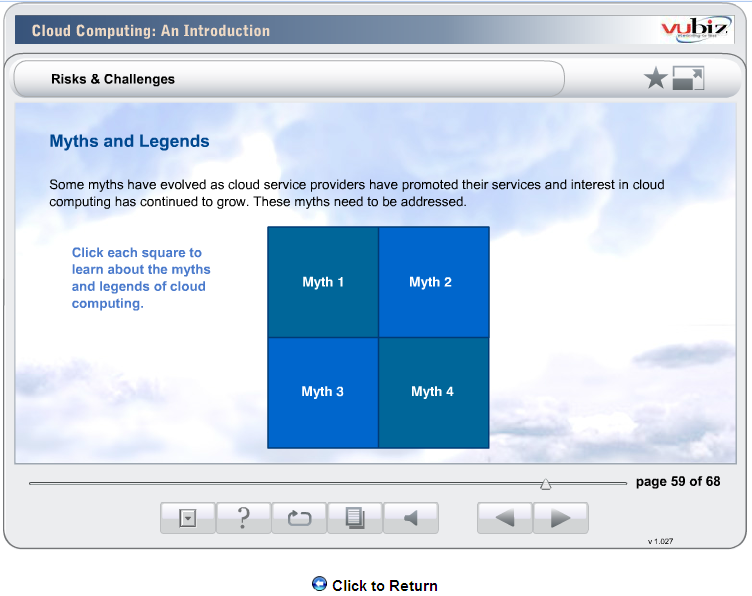 The learner will explore how cloud computing evolved, learn how businesses can benefit from cloud computing, and understand the risks involved in cloud computing. 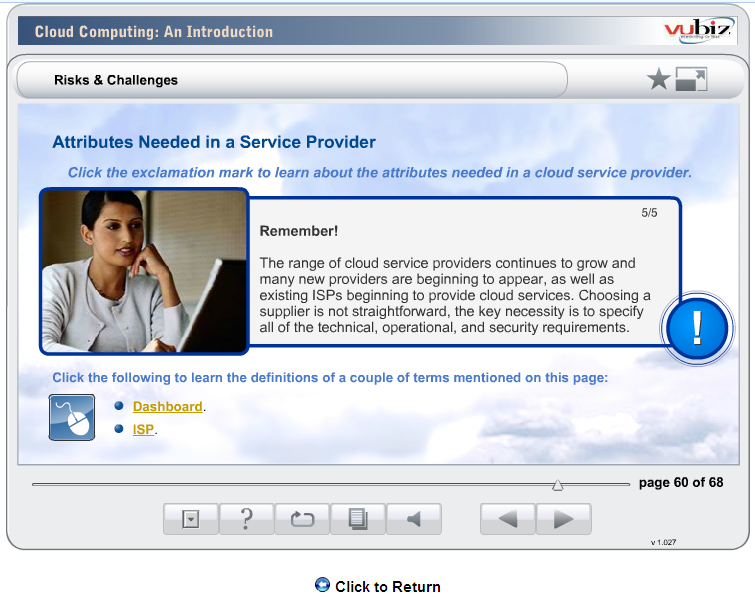 Topics covered in this module include: basic computing attributes; cloud computing defined; the characteristics of cloud computing; the cloud computing service delivery models; cloud implementation models; the financial, technological, and operational benefits of cloud computing; and the risks of cloud computing along with the mitigation of those risks. 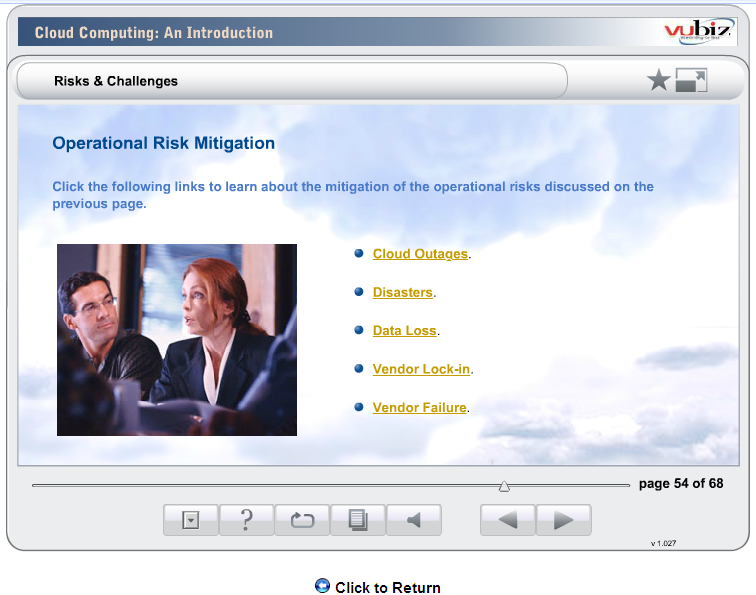 With successful completion of the test at the end of the module, you will receive a Certificate of Completion.